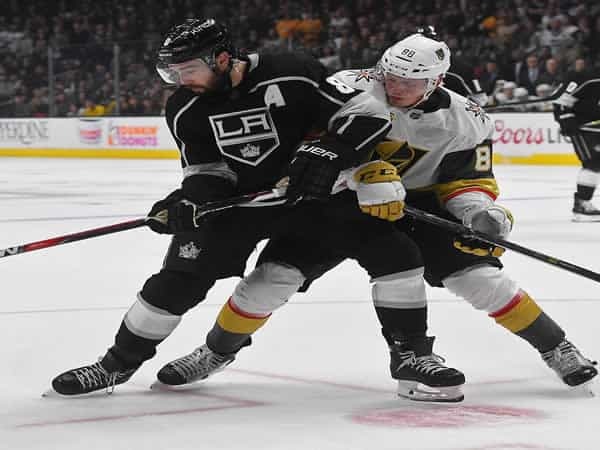 The NHL is gearing up for the postseason and most bettors are looking at the Nashville Predators and Tampa Bay Lightning. From a betting standpoint, these teams make sense. However, there are still 14 teams in the running that could make a case for a championship run. What about the Predators is so alluring? For starters, they boast the best regular season record in the league this year. This got them the President’s Trophy, but more importantly, it helped them obtain home-ice advantage for as long as they are in the Playoffs. Last season, the Predators reached the Final but were defeated by the Pittsburgh Penguins. This season, they look to have the recipe for success. They say defense wins championships. If that is true, the Predators have a strong stopper in Pekka Rinne. Rinne is tied for the most shutouts in the league this year and has a strong save percentage in clutch situations. One of the things that will help them through the postseason is their depth. Viktor Arvidsson and Filip Forsberg lead the roster with 61 points apiece. They also have 11 other players with at least 10 goals this year. 4 skaters, including Arvidson and Forsberg, have at least 20. Their most popular lineup (consisting of Arvidsson, Forsberg and Ryan Johansen) has outscored other teams 33-15 this year. This lineup will be deadly throughout the postseason. Their biggest threat in the West are the Las Vegas Golden Knights, the team with one hell of a debut season. William Karlsson scored 43 goals for the Knights this year. It is the best season of his career. Erik Haula also had a career high in goals with 29. Another key player to stand out is Jonathan Marchessault. He scored 27 goals this season, a solid repeat performance to his 30-goal campaign last year. The Knights’ lineup of Marchessault, Karlsson and Reilly Smith is the second-most scoring combination this year. They are only behind the Predators, meaning the Knights have a high offensive output. The Eastern Conference sees the Tampa Bay Lightning and Boston Bruins as the 2 teams to beat. The Lightning welcome back Steven Stamkos to the lineup, a positive sign for the ambitious team. The Lightning outscored opponents 66-47 this year with him in the rotation. They also have Nikita Kucherov, a likely MVP candidate that finished with 39 goals. The Lightning are one of the most successful NHL hockey teams on the power play and will look to assert that in the Playoffs. The Bruins have a strong lineup both offensively and defensively. Brad Marchand, Patrice Bergeron and David Pastrnak make up the offensive front, but it is the defensive rotation of Charlie McAvoy, Kevan Miller, Torey Krug, Brandon Carlo and Zdeno Chara that stand out. A good defense relieves pressure off the goaltender. Tuukka Rask is one of the least active goaltenders in the league and that is because of his busy defensive line. The Bruins finished just under the Lightning in the standings. If they face the Lightning this year, it will be an exciting matchup. Stanley Cup betting analysts have put their chips in for the Predators to win it all. The first round will certainly provide some insight into how things may go. Keep an eye out for any breakout performances from sleeper teams. There is always at least one team that goes on a surprising run.